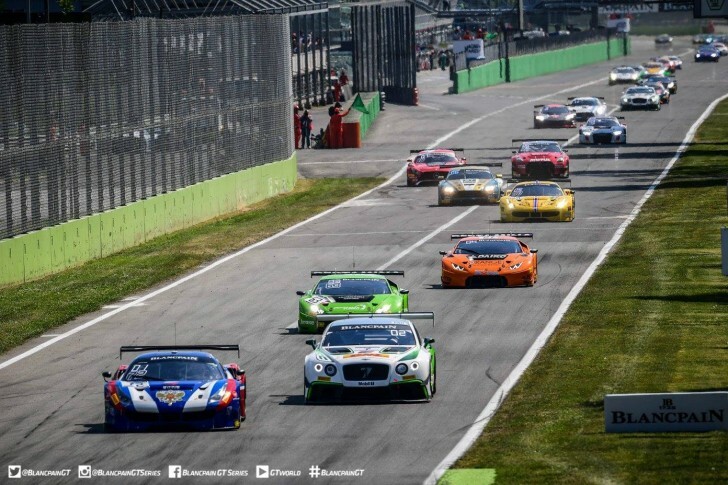 GRT Grasser Racing Team has won the opening round of the Blancpain GT Series Endurance Cup at Monza in its #63 Lamborghini Huracan GT3, using the Pirelli P Zero DHD tyre. The drivers making up the team were Christian Engelhart, Andrea Caldarelli and Mirko Bortolotti. Today was also race two of the Lamborghini Super Trofeo, won by Antonelli Motorsport drivers Loris Spinelli and Mikael Grenier. 32. The number of cars within one second of each other during qualifying today: a new Blancpain GT record.